This past January, the Princeton Review has designated Queens College as a “Best Value College” in its 2019 guide. The Princeton Review is a college admission services company that sells SAT and ACT study guides, access to tutoring resources and a series of guides outlining the most accomplished schools for a particular year in several hundred categories. They have been established since 1992, and are widely considered to be the “go-to” guide regarding college admissions information. 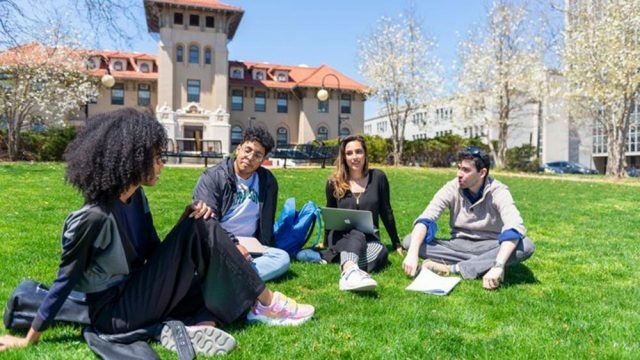 Queens was named a “Best Value College” by them, among over two-hundred other institutions of higher education, including some more expensive options such as Harvard College and Stanford University. The “Best Value College” list is based on a multitude of factors such as the academic rigor of the school, its affordability, strength of financial aid and potential career prospects for newly graduated students. Each school is assigned an ROI rating, or Return-On-Investment rating, which is made up of over forty different data points. Queens College received an 88, one of the highest ratings among New York schools. The ROI rating draws on published data such as average alumni salary and student surveys. Truthfully, Queens College has a long history of being recognized for its many talents and strengths. The Princeton Review previously ranked Queens as a “Best Value College” back in 2014, 2015 and 2018. This is the 27th time that the Princeton Review mentioned Queens in one of its guides. Princeton editors have praised Queens for its nationally recognized liberal arts and science programs, world-class faculty, affordability and diversity. The college serves students of all ages and ethnic backgrounds, with many students speaking a second or even third language. This is not surprising, as QC is located in the most diverse borough of New York City − Queens. Queens is actually the most diverse county in the United States, and it is home to over one million immigrants. Additionally, Queens College students with at least a bachelor’s degree have an average starting salary of $50,900 and an average mid-career salary of $96,600, according to the financial website payscale.com. “We are not surprised that the Princeton Review has named Queens College to its 2019 edition of The Best Value Colleges and is recognized once again for its academic excellence, affordability, and accessibility to a diverse background of students. Queens College has consistently provided equal opportunity for our students to achieve their dreams,” says Queens College President Félix V. Matos Rodríguez. Judging by past rewards and the positive trajectory, Queens college will continue to strive to be the best in its field and provide the utmost education level for its students of all kinds.